Discussion in 'Success Stories' started by tweak, May 17, 2012. I'm linking to this story which is pretty inspiring. It's taken from the Irish Times. Which is the most respected broadsheet newspaper in Ireland. Thanks tweak! I am a big proponent of keeping one's energy flowing! 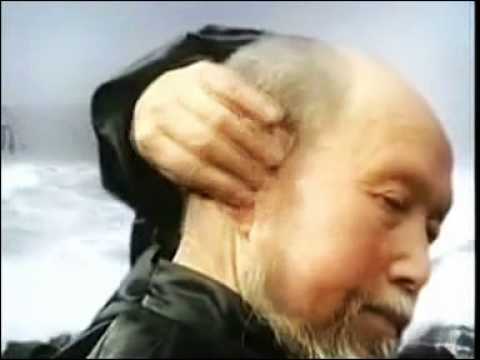 SHAOLIN COSMOS CHI KUNG: WHAT IS IT? Shaolin Cosmos Chi Kung is an ancient elite art which was the choice of the emperors in China for maintaining excellent health, mental focus and quick decision-making abilities. Proponents claim this gentle art helps to generate chi or energy around the body to restore good health and happiness to each practising individual. The practice involves learning gentle movements in a chi kung or meditative state which allows the chi to move more easily through the body’s meridian system clearing stagnation. It sounds interesting and definitely worth a try. There's a lot of things in our body we can control, yet our generally thought of as automated. If most people recover from tinnitus naturally, then there's no reason why my mind shouldn't in principle be able to trigger my recovery. Something like this could potentially help with that. 氣功 - El Masaje Qi Gong. TUI NA.